Radio Station structure - How GPS modules work and what makes them so valuable. Jungle Guardians contain unique feature called GPS animals. 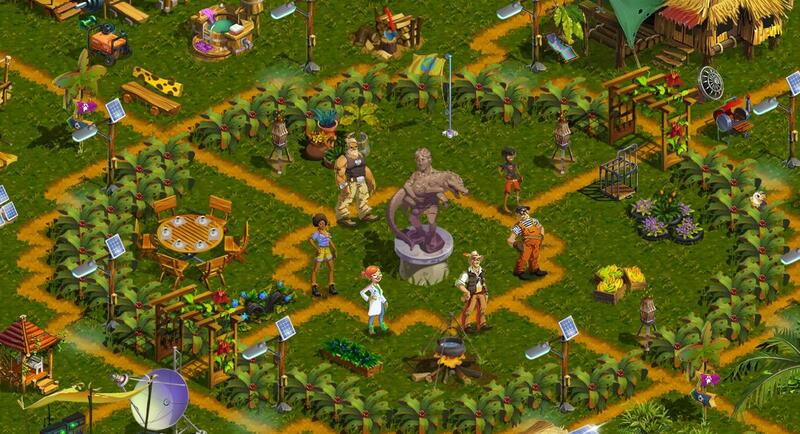 It allows players to attach GPS module/trackers on animals in order to track their moves and help them in distress. 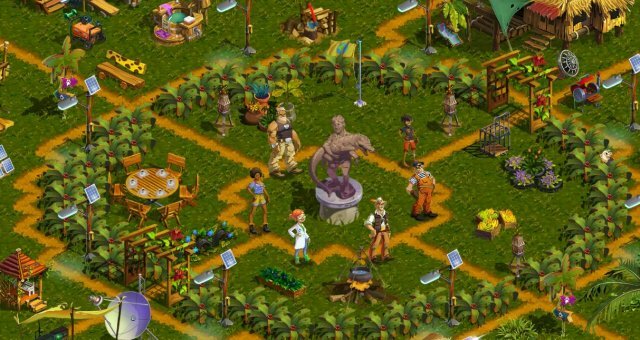 The feature will be unlocked to a player who reaches level 23 and finishes building Radio Station building which can be bought from buildings shop. GPS module needs to be crafted in Radio Station building. It can be crafted by using 3 necessary resources which can be found as a reward in various places. Cables - Can be received by completing daily questline. Microphone - Can be obtained by exchanging Poacher collection. Electronics - Can be bought in Pedro shop. From moment when Radio Station is completed, at release animal window the user can now attach GPS module to a chosen animal. When the player will do this automatically animal will appear on the map and start walking all around with name tag above his head. Indicator not only allows players to quickly locate GPS animal but also give a player information about the animal state. The indicator will change when an animal will change his state. A progress bar informs the user when the next reward will be available. Clock stops every time animal state change to negative. Sick - You will notice mode change when GPS animal needs medical attention. Kidnapped - When animals will approach poachers on map, poachers will catch them in a cage and you can free them only after you will Banish poacher away. When time passes by and animal are well-treated indicator will change to a gift icon. 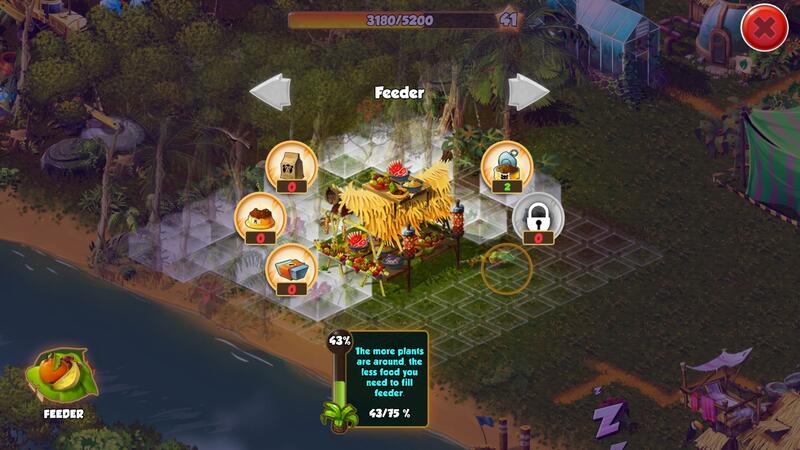 Then you can tap and collect rewards from that specific animal. You can have a maximum of 9 animals this means you can daily collect those rewards 27 times in perfect combination. Rewards from animals are random and the more rare animal is wearing GPS module than better rewards you can get. So final goal is to have 9 the most rare animals on GPS. In fact, GPS rewards are the best rewards an entire game. Basic Radio Station have only 3 slots for animals. 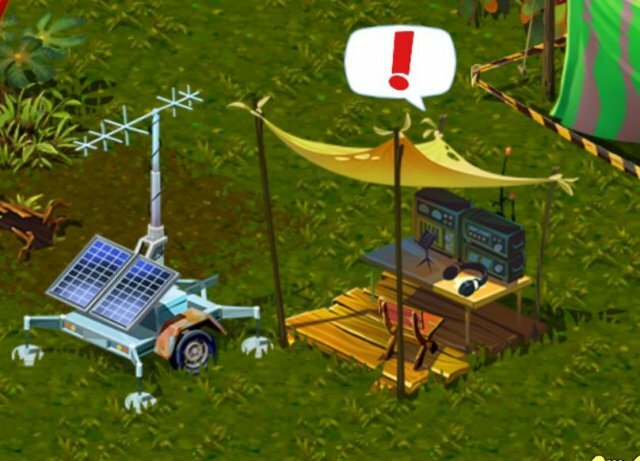 In order to increase the amount of those places, you will need to place Antena or Satelite Dish next to the Radio Station. Range indicator will notify you when it is set in the right place. Satelite Dish decoration - Can be bought in objects shop using diamonds. 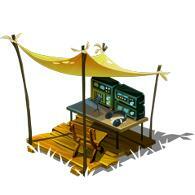 Antena decoration - Is a 100% chance reward that can be gain in a reward chest for 30 days log in. Open Radio Station window and tap on the red turn ON/OFF button next to the animal you want to release. Sometimes if the quest will tell you to assign GPS module to a chosen module and all slots are already taken this is your only option to fulfill the quest. Open radio station window and click on name field the rename option will appear. 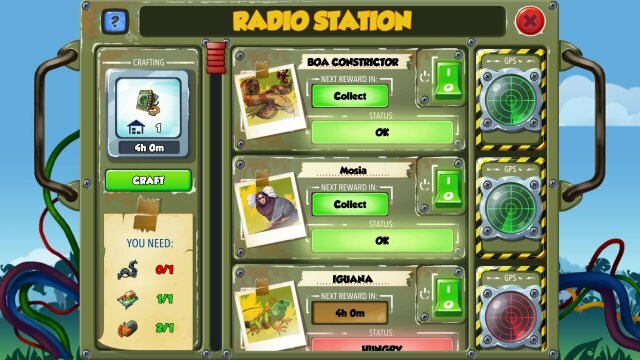 Open radio station window, search on the list for the animal you want to find and click on Radar animation. The camera will instantly show you the position of the animal. GPS animals in order to bring gifts have to eat. Animal feeder structure is a building that allows animals to approach them everytime they are hungry and eat if there is anything they can eat. After animal feeder structure is completed you can open its menu and every action in the menu allow you to restock feeder with a certain type of food. Under the menu, you can notice progress bars that inform you what is the stock level of each type of food. When you tap on those bars you will open the description. Same as in all actions in the game you can long check that information on action tooltip which is displayed when your mouse is above chosen action. 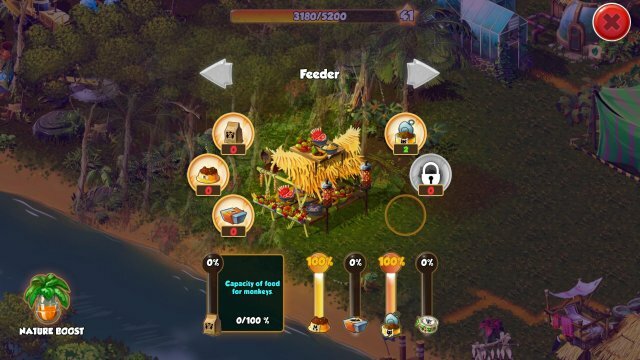 When you click at bottom left corner you will notice that the menu will now display a range of feeder. Every healthy plant or tree in that range gives you an additional increase of 1% or 2 % for each action. Cumulative increase bonus can be found in the progress bar. So your goal is to place as many healthy plants around animal feeders as you can.